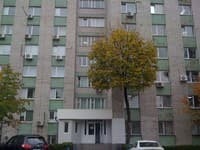 Good Rent (Khreshchatyk) is located in the city center. 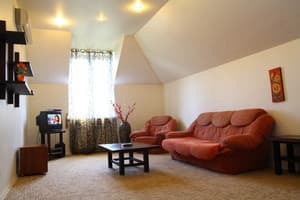 The apartments have air conditioning, free Wi-Fi and a fully equipped kitchen with dining area. This apartment has large windows, parquet floors and high ceilings. All apartments are equipped with a flat-screen TV, a living room and a balcony. 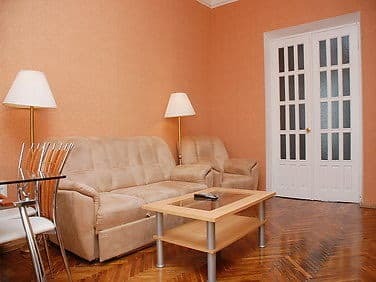 Good Rent is decorated in classic style and warm colors. The apartments are located close to shops, cinemas and restaurants. 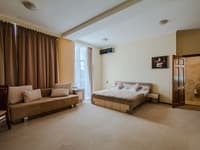 Description of the room: We offer you to rent a two-room (2-room) apartment in the heart of Khreshchatyk on the eighth floor! Comfortable conditions will impress your imagination! 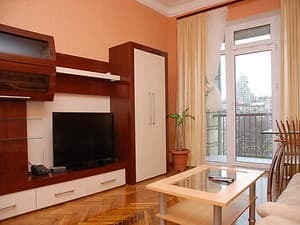 There is everything you can need during your vacation or business trip: air conditioning, TV with cable and satellite connection, free WI-FI, washing machine, microwave, kettle, iron, hairdryer, bathroom. Undoubtedly, the great advantage of these apartments is the location! If you decide to rent an apartment on the street Khreshchatyk, 17, you will be in the epicenter of cultural events of our capital! We look forward to seeing you! 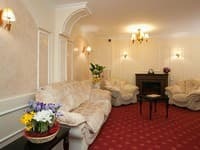 Description of the room: Three-room apartments are located on the main street of the capital. 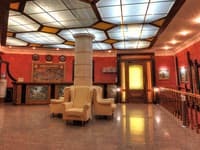 The house is located directly on Khreshchatyk and the balcony offers a stunning view of the whole city center. The house has a concierge. The apartment is on the 8th floor, there is an elevator. High ceilings, parquet floor, comfortable beds with orthopedic mattresses, metal-plastic windows, beautiful noise insulation of the walls, will give an opportunity to relax after a hard day or after a fun time. There are all necessary furniture and appliances. 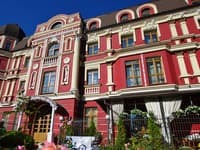 The apartments are located close to shops, cinemas and restaurants only 5-minute walk away Guests can reach the Kiev Opera House in 10 minutes.